Over three quarters of a million pounds will be invested in colleges over the next two years to engage inactive students in sport and physical activity. AoC Sport announced today that Sport England will devote the sizeable chunk of its National Lottery funding to colleges from September 1, 2018 until August 31, 2020. 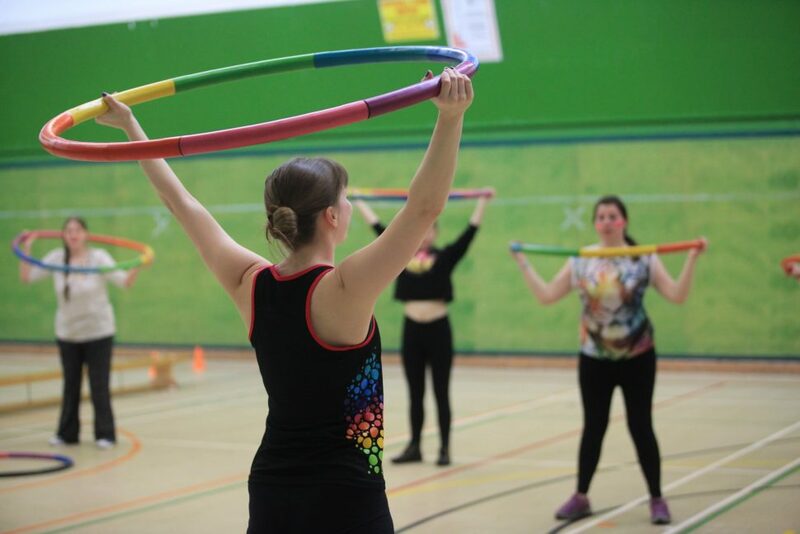 It will be used to run a series of “targeted interventions” aimed at increasing the levels of physical activity within “lower socio-economic groups, women and girls, inactive students and volunteers”. According to Sport England, nearly one in five students at FE colleges in England are currently not active enough – which means 138,000 students are doing less than the recommended 30 minutes of physical activity each week. “We are delighted that Sport England are continuing to invest in the college sector,” said AoC Sport managing director, Marcus Kingwell. The interventions planned over the next two years include a “This Girl Can Ambassador” programme, where ambassadors in at least 60 colleges will be trained to promote and deliver physical activity and sport to female college students. They’ll encourage “non-traditional activities”, such as Raveminton Open in a new window which involves playing badminton under ultra-violet lights with fluorescent lines, neon nets and shuttlecocks sprayed with UV paint, as well as tag American football, and bubble football – where five-a-side football players go up against each while wearing an inflatable orb. The funding will also be used to increase the diversity of student volunteers to “better reflect society,” an AoC Sport spokesperson said. To achieve this, the association will work with departments in colleges other than sport with a diverse population to “ensure opportunities are available to all students”. A marketing campaign which will include guidelines on regularity and intensity will also be launched to “start the conversation” on what being inactive actually means. The £760,000 is in addition to the £5 million Sport England has already invested into 49 colleges, as part of the Tackling Inactivity in Colleges programme. Cassell Bailey, head of children and young people (education) at Sport England, said: “College is a time when students often stop participating in sport and physical activity so this investment is a great opportunity to embed this into their lifestyles so they can continue to be active for years to come. Sport England invests up to £300 million National Lottery and government money each year in projects and programmes that help people get active and play sport. A subsidiary company of the Association of Colleges, AoC Sport is a membership organisation which campaigns for every college student to participate regularly in physical activity. FE Week has previously been media partner for the AoC Sport National Championships.